Calling all comic art collectors! 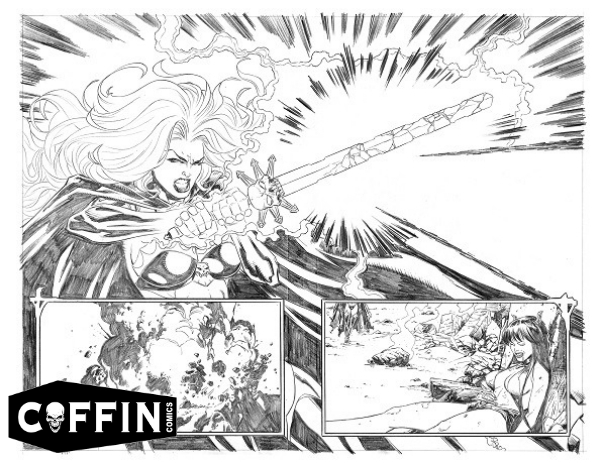 This Friday Coffin Comics becomes a high end art dealer once again as we offer pages of Anthony Spay’s original penciled artwork from the iconic Lady Death: Nightmare Symphony story! These pages are one-of-a-kind originals, not reprints! These penciled pages show off subtleties in the artwork that can be lost when inks and colors are overlaid. ORIGINAL ART PAGES GO LIVE ONLINE: Friday, January 25 at 9:00AM MST (11:00AM EST) exclusively at Lady Death Store! These pages will be first come, first served and we cannot accept reservations on specific pages. We apologize, but original art pages will not qualify for discounts or coupons. 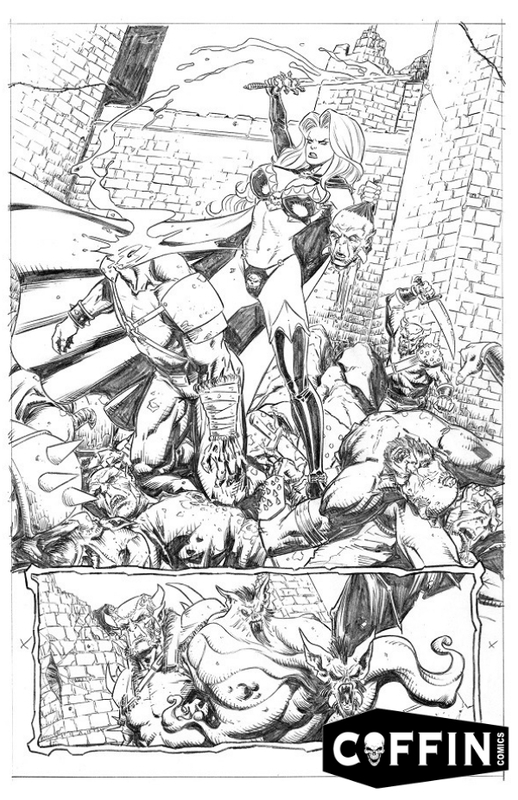 EXCLUSIVE INTERVIEW WITH LADY DEATH: SCORCHED EARTH ARTIST DIEGO BERNARD! 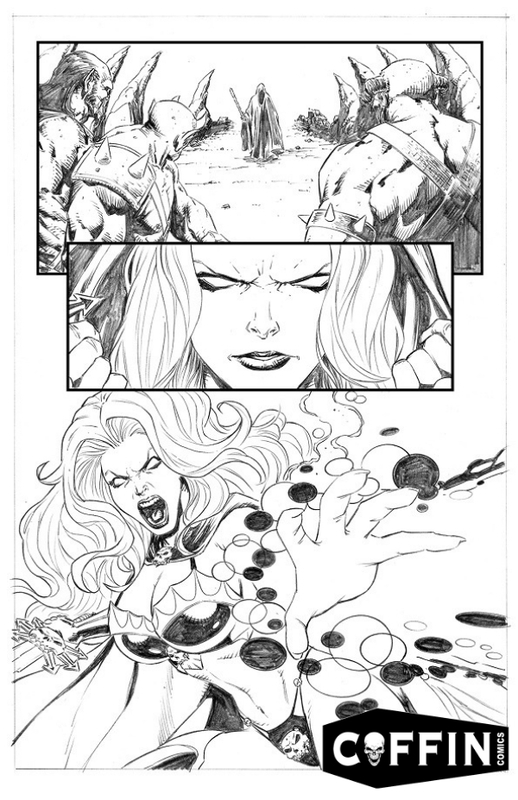 What a great introduction to Lady Death’s new interior artist Diego Bernard on the upcoming Lady Death: Scorched Earth Kickstarter! We sat down with Diego to learn more about this super talented artist! 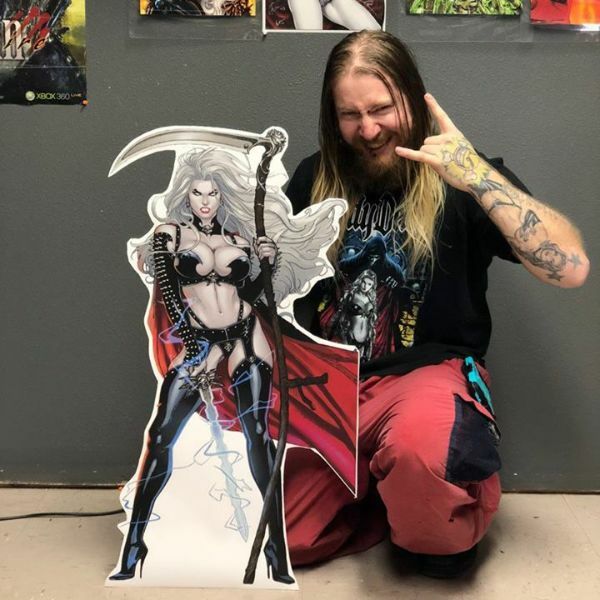 Coffin Comics: What does Lady Death mean to you? 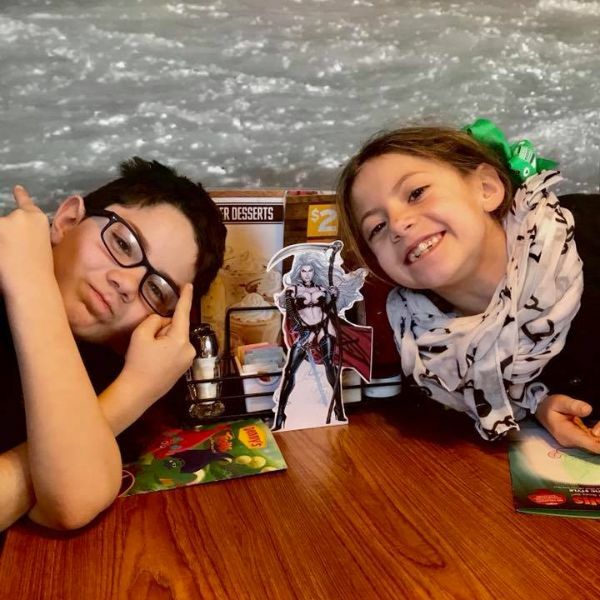 Diego Bernard: Lady Death evokes fond memories for me, as I have been a fan of the book for many years, going back to when I first started drawing in the early 2000s. As a fan of the book, and of the terrific artists that have come before me, Lady Death feels like a bit of a career milestone for me in that my work will now sit next to the work of artists that have inspired and informed my work over the years. It is an honor and also a big responsibility now to sit at the drawing table, and hopefully be able to help inspire the next generation of comic artists in the same way that I was inspired through Lady Death. CC: What are you trying to bring to Lady Death with your art? DB: I try to be as clear and precise and detailed in my work as possible, so that the art is equal parts aesthetically beautiful, and strong storytelling. It is easy to do one or the other well, but for me the true challenge is in finding the perfect balance of the two. 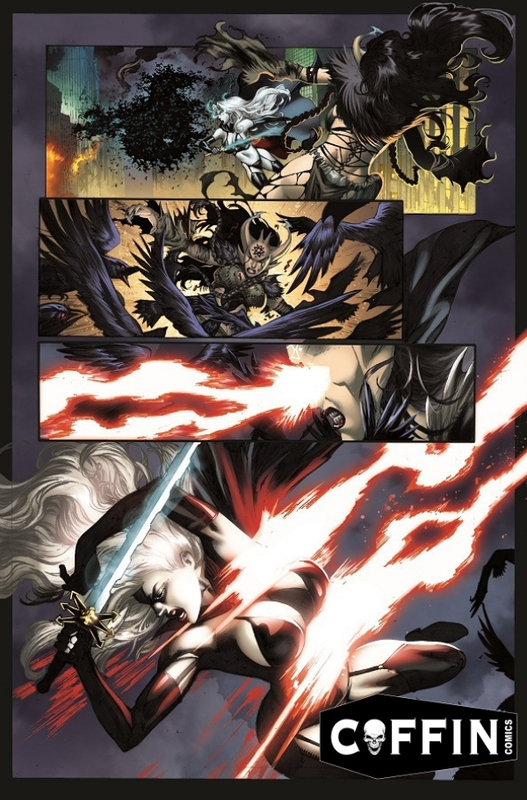 CC: What do you think Lady Death fans should know about the creation process? DB: My creation process is fairly “normal” and very similar to what other artists might do, but I love to search for images on the internet, and also from the concept art of movies and games. I am constantly drawing inspiration from the popular culture around me. If it inspires me, hopefully that will also translate to the reader through my art. CC: What inspires you when you draw Lady Death? DB: Lady Death has a great theme, and I love the opportunity to draw some bizarre things (and also beautiful women)! I like the challenges that Lady Death presents. I feel like I am constantly learning and growing as an artist as I work on Lady Death, and hopefully my work also continues to improve as a result. THIS FRIDAY, WE DIGITALLY RELEASE HELLWITCH: HELLBOURNE #1 TO KICKSTARTER BACKERS! On Friday, January 25, we will be distributing digital copies related to the Hellwitch: Hellbourne Kickstarter Campaign to all backers with completed backer surveys! Keep an eye out for an email with the link! 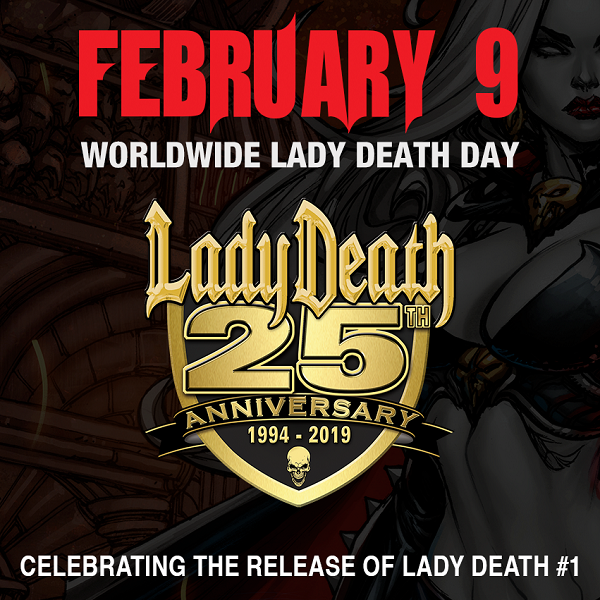 On LADY DEATH DAY (Feb. 9th) bring your Lady Death comics, merch and apparel around with you and SNAP PICS & POST THEM to social media using hashtag #LadyDeathDay to WIN LADY DEATH COMICS!! 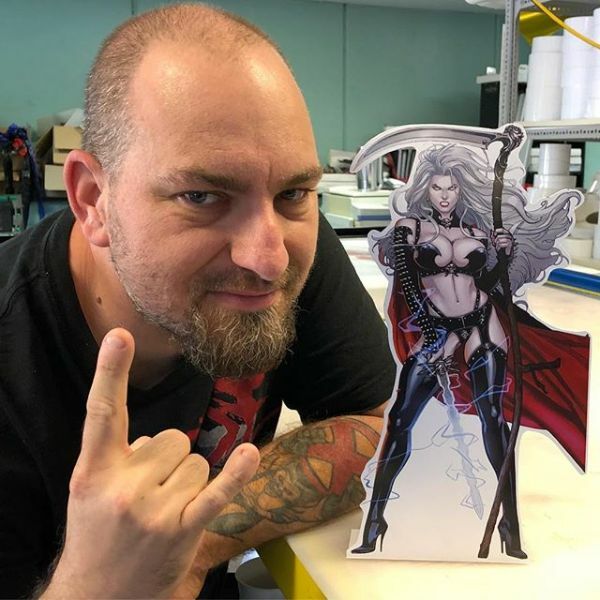 We will also provide a a high resolution cut out of Lady Death for you to use in your social media posts on Saturday, February 9! Check out some of the photos from last year! 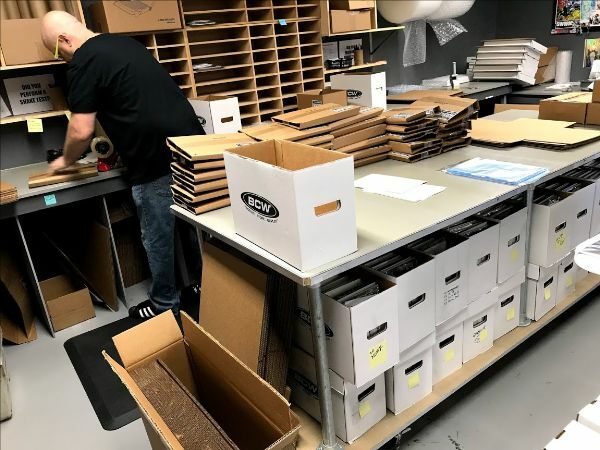 HELLWITCH: HELLBOURNE #1 KICKSTARTER SHIPPING UPDATE! We are making good headway on packing and boxing! 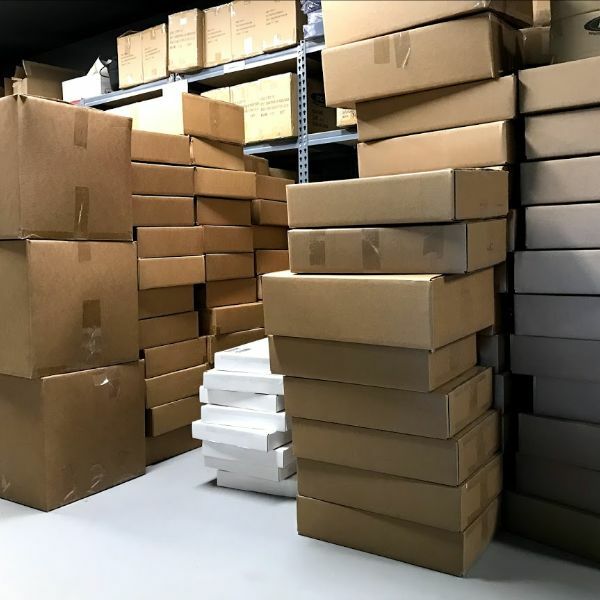 If we keep up this pace, we’ll be looking good to start shipping this week! Thanks again for your support, everyone! Stay tuned for updates! 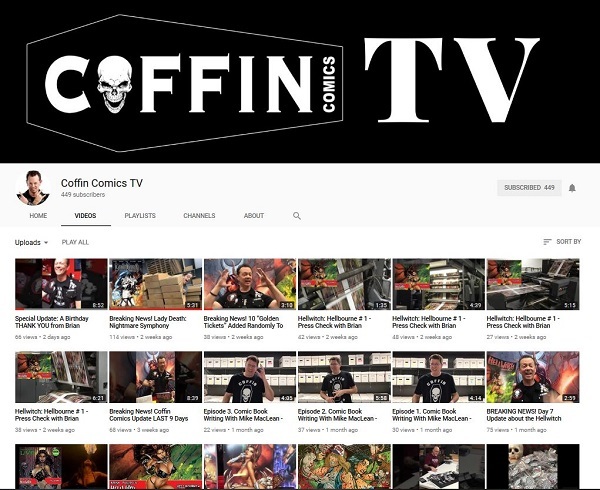 SUBSCRIBE TO THE COFFIN COMICS TV YOUTUBE CHANNEL! SUBSCRIBE and HIT THE BELL NOTIFICATION! Join us on YouTube for more video content from Brian Pulido and the Coffin Crew! 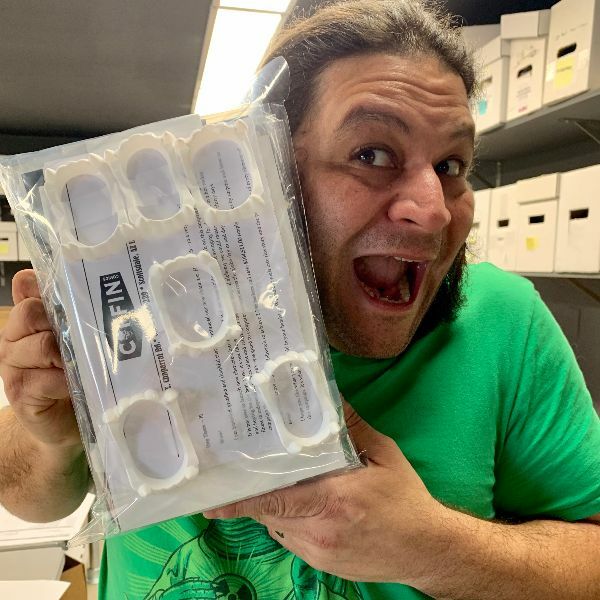 This entry was posted in Kickstarter, Newsletters, Product News and tagged anthony spay, friday, hellwitch, interview, kickstarter, lady death, lady death day, ld day, nightmare symphony, original art, scorched earth, shipping. Bookmark the permalink. Both comments and trackbacks are currently closed.